Carleton offers a variety of funding opportunities to our students. 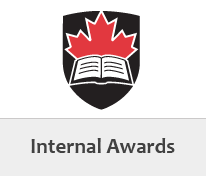 As a new or current graduate student, there are a number of internal, external and special awards that you can apply for. Application deadlines for these awards for the 2018-19 academic year are as early as September, 2017. Specific details are available below. 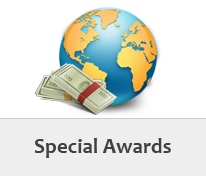 To read about graduate students who have received prestigious awards, please click on our Awards of Distinction page. When you submit an application to a program, administrators will automatically consider you for a possible admissions funding offer at the same time — a separate application is generally not required. If you are eligible for this funding, you will be notified on your Offer of Admission and Funding. For more information, visit our funding options on our Admissions website. Estimating the cost of a year at Carleton will vary depending on your program of study and lifestyle preferences. You can see an estimated breakdown of costs and fees on our Admissions website. Alternatively, you can use the Fee Estimator tool to determine your estimated tuition fees based on your program of interest.